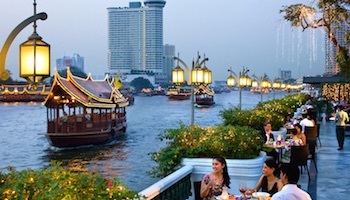 Many travelers who head to Southeast Asia plan to spend at least some of their time in Thailand. 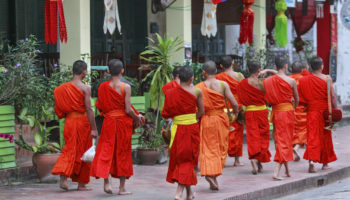 South Thailand is an especially popular region because it has such a diverse range of attractions to offer visitors. 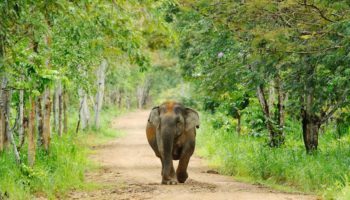 Once you head south from Bangkok, you can admire the view from stunning bays, discover island getaways or explore beautiful national parks; this part of the world has something for everyone. As you plan your next tropical getaway to Thailand, be sure to enjoy as many of these amazing destinations in Southern Thailand as possible. 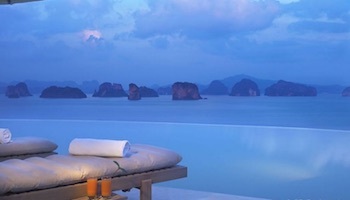 Phuket, located in the Andaman Sea, is one of the most popular islands in all of Thailand. 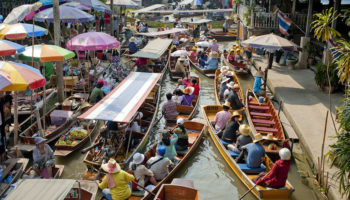 Once an undeveloped jewel, Phuket is now a hub for tourism. While the increase in infrastructure and nightlife makes it an appealing spot for millions of travelers, this isn’t the island for those looking for solitude. 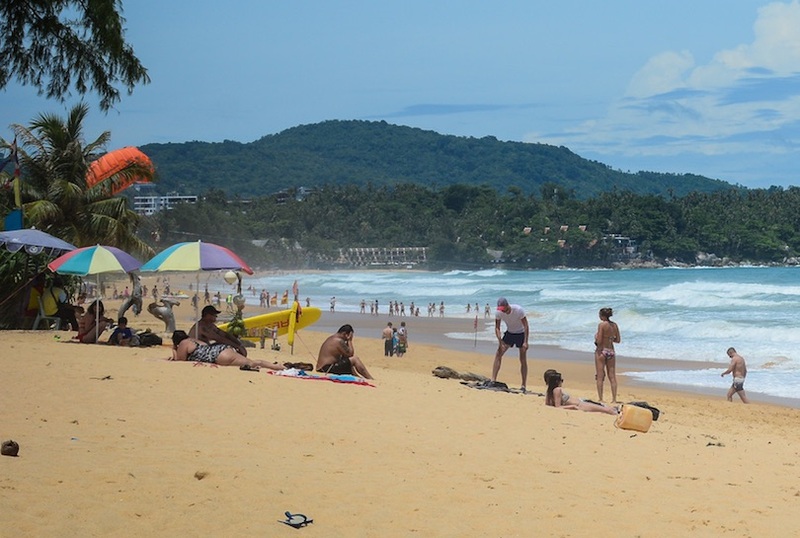 If you’re excited for the nightlife, then Patong is the must-see spot with the largest resort atmosphere. 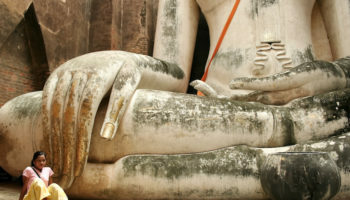 In Chalong Bay, you can go beyond the beaches and explore some incredible Buddhist monuments. Check out temples like Wat Chalong and Wat Laung Pu Supa as well as the white marble Big Buddha statue located on the top of Naka Kerd Mountain. In the Gulf of Thailand close to Ko Samui is the Mu Ko Ang Thong National Park. This archipelago is made up of 42 islands, most of which are located close to one another. That makes it a breathtaking place to tour by boat, because the close proximity of these lush green islands makes for amazing photographs. 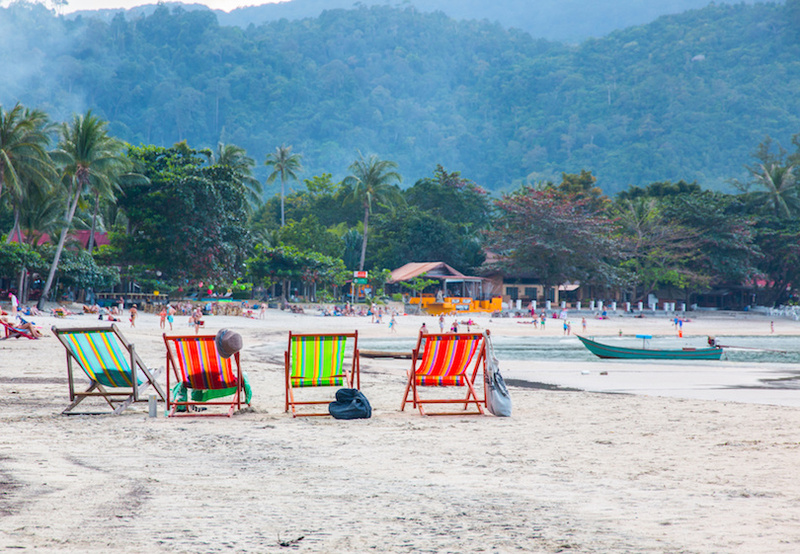 One island you can’t miss is Ko Wua Talap where you can dine at a seafront restaurant, explore the Buaboke Cave, relax on one of two amazing beaches or walk across the island in 30 minutes through a jungle trail. 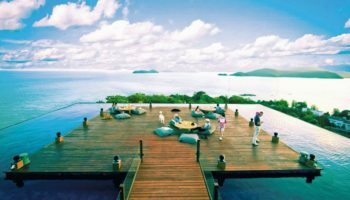 The island of Ko Pha Ngan is also found in the Gulf of Thailand, and it is best known for hosting huge parties in honor of the full moon. These infamous beach festivals are popular with young backpackers from around the world, and the revelry is unparalleled in Asia. However, that’s not all the island has to offer. Besides ideal beaches, Ko Pha Ngan is also home to Than Sadet-Ko Pha Ngan National Park, which offers free admission and boasts a beautiful waterfall. 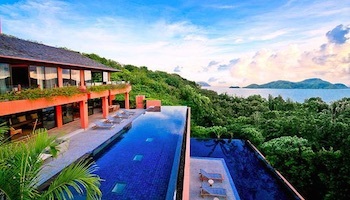 You can also hike through the jungle and along the coast, go scuba diving or try out a Muay Thai training course. While certain parts of south Thailand are busy with travelers, places like the Khao Sok National Park offer a completely different perspective. This jungle reserve is best explored on a guided tour, allowing you to safely see wildlife and natural attractions within Khao Sok. Cheow Lan Lake is a must-see destination, but the view from the vantage point above the lake is the place to be for epic photos. From the main visitor’s center, you can set off on several solo hikes. You might want to check out the Wing Hin Waterfall or the Tang Nam Gorge, both of which are visitors favorites within the park. 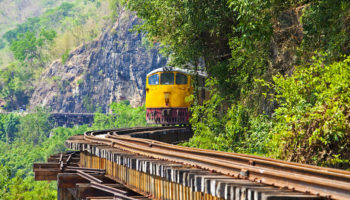 Whether you’re searching for the next adrenaline rush or unparalleled scenic beauty, Railay may be the answer. Railay is a peninsula surrounded by oceans and mountains, which means that it is primarily accessible by boat. On stunning white-sand beaches, tall limestone formations tower over the water. At Phra Nang Beach on Railay, you can swim underneath incredible limestone structures. At Rai Leh West Beach, the vibe is a little quieter but the scenic beauty is just as appealing. You’ll have the chance to explore caves in Railay, and the truly adventurous can also try out some of the ample rock climbing available. Ko Tao is an island in the Gulf of Thailand, and it is accessible by a high-speed ferry from the mainland city of Chumphon. 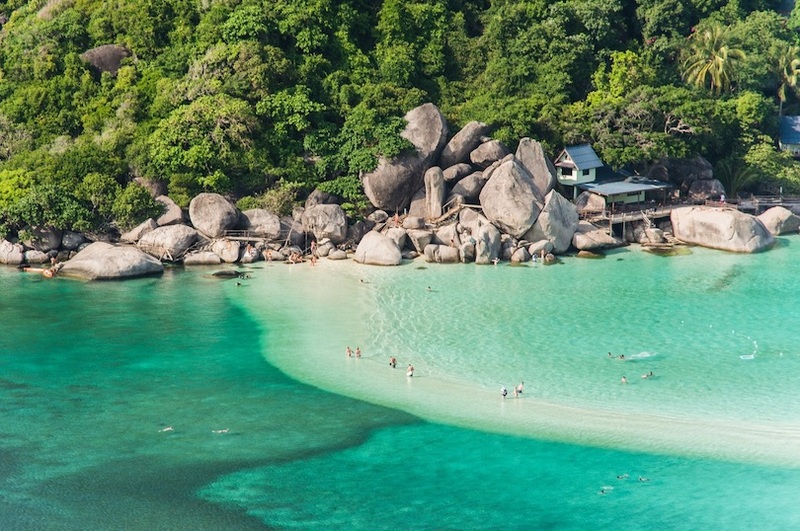 For travelers who enjoy diving, the island of Ko Tao is the perfect vacation destination. If you’re new to the world of diving, PADI certification courses are available on the isle. Diving allows you to see bull sharks at Chumphon Pinnacle, the underwater evolutionary sculptures by Val Tao Tong Bay known as Ocean Utopia and plenty of turtles, among many other marine species. Other popular activities include cycling, snorkeling and sailing around the beautiful island. The body of water between Krabi and Phuket is called Phang Nga Bay, and it is one of the most breathtaking destinations in all of Thailand. Within the bay, limestone formations tower up from the water, leading to amazing views. Most visitors to Phang Nga Bay opt for boat tours so that they can see as many of these formations as possible, but sea kayaking is also a fun way to explore on your own. 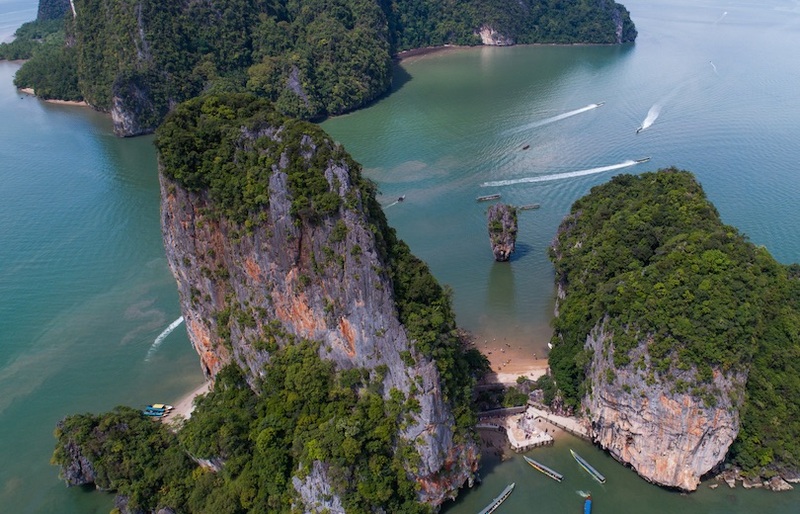 There are also some truly amazing islands within the bay, such as Khao Ping Gan, which was featured in the James Bond film The Man With the Golden Gun. The island of Ko Lipe is just outside the jurisdiction of Tarutao National Park in southwest Thailand, and as such is exempt from certain laws prohibiting development. That makes it perfect if you’re looking for a destination that is off the beaten track and close to nature but still offers comfortable accommodations. The beaches of Ko Lipe are the main attraction, with Pattaya Beach being the most popular and Sunset Beach being the ideal place to linger at sunset. 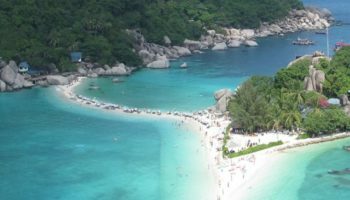 Outdoor activity is a big draw to Ko Lipe, and many visitors go scuba diving at 8 Mile Rock or at the Yong Hua Shipwreck. 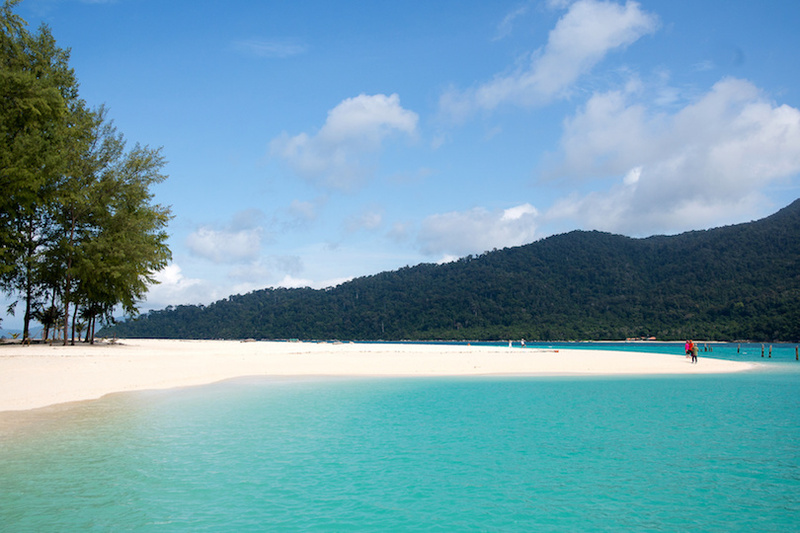 Kayaking, swimming and snorkeling are a few more popular pastimes on Ko Lipe. The coral reefs surrounding the Similan Islands are considered to be the best diving spot in all of Thailand. 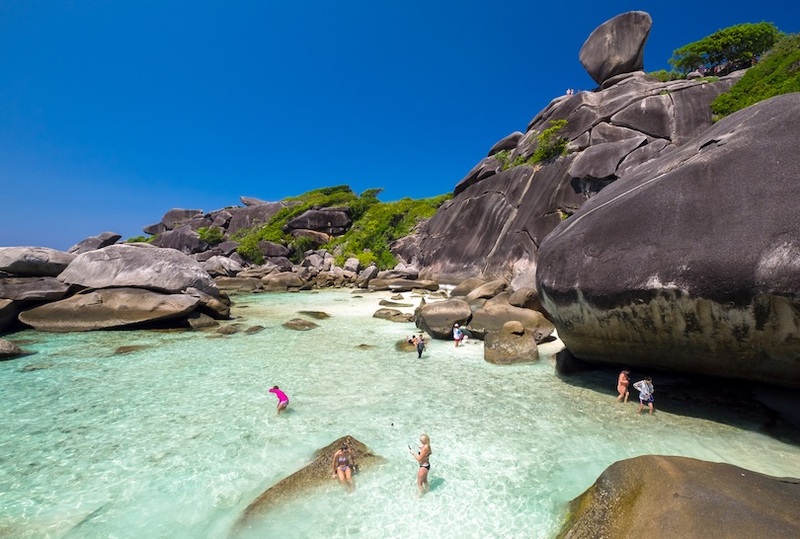 The Similan Islands are an archipelago, and their underwater beauty is definitely the biggest draw for travelers. If you’re a diver, then you’ll want to see the dive spot Fantasy Mound and then admire barracudas, whale sharks and manta rays underwater. If diving isn’t your hobby, you can still have an amazing time on the Similan Islands. Camp in paradise, relax on the white-sand beach of Horseshoe Bay and swim in the warm waters of this tropical destination. Ko Phi Phi is made up of six islands located off the mainland coast of Krabi. This archipelago can deliver beautiful beaches, amazing reefs and plenty of outdoor activities. Ko Phi Phi Don is the largest island, the busiest island, and the spot where you’ll most likely find your accommodation. During the day, however, you can check out the other five islands. 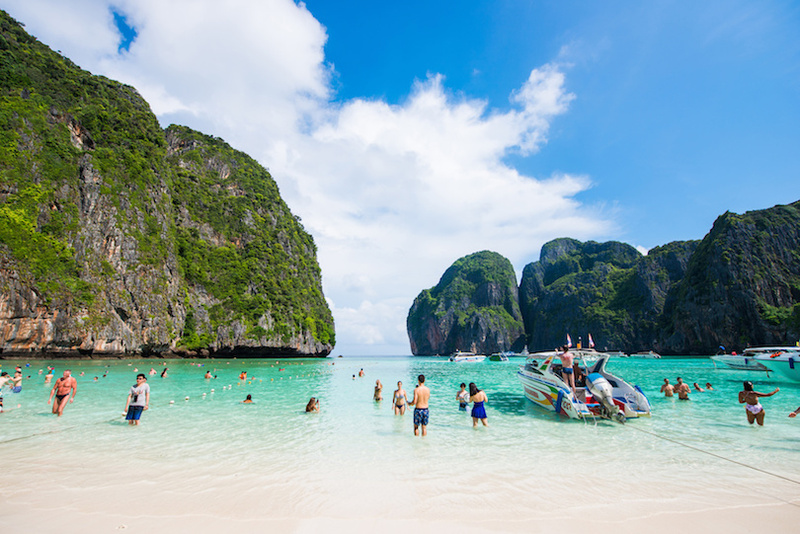 Ko Phi Phi Leh is perhaps the most popular because it served as the backdrop for the film The Beach, featuring Leonardo DiCaprio. 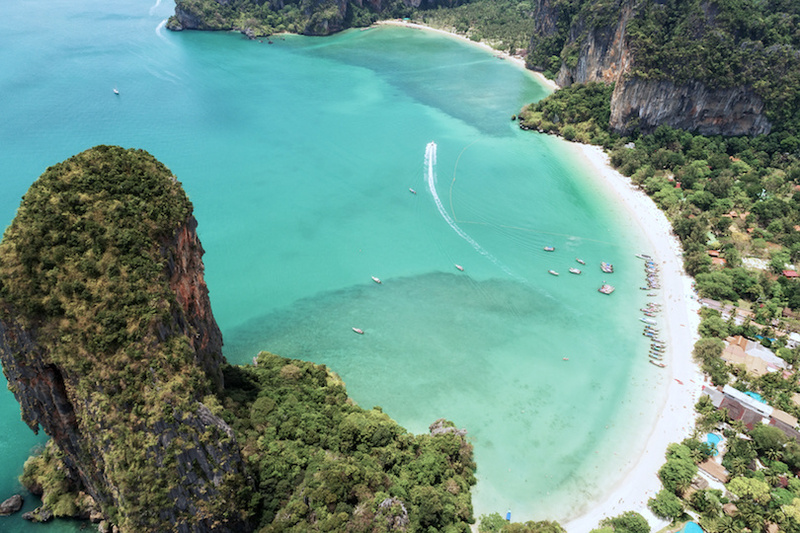 From swimming at beaches to spotting monkeys to scuba diving in caves, Ko Phi Phi is a truly unforgettable destination. Which places in South Thailand do you consider to be the most interesting? Similan Islands reefs have all died and are now just white corals!! Very sad! 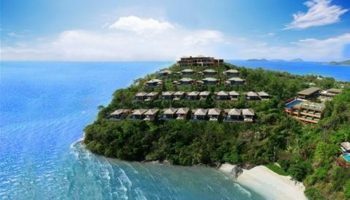 How is Koh Lanta not on the list?